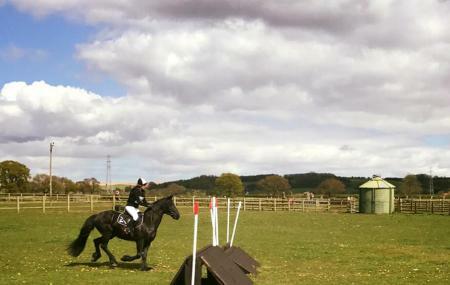 If you are interested in practicing horse and pony riding, then you can enjoy the same by visiting the Caistor Equestrian Centre. It is a wonderful facility that assures to offer unparalleled riding experiences to people of all age groups. Not only children and adults, but those who are physically challenged can also come here to enjoy horseback riding under the supervision of professional instructors. The facility offers inter connected indoor and outdoor activity areas where visitors can enjoy riding. In the facility of Caistor Equestrian Centre, children’s birthday party can also be celebrated. Cake, food and drinks can be availed from the cafe of the facility itself. Having looked for a riding school for many years up to the standard of where I used to ride in the 90s, I feel that CEC is definitely a quality riding school. I wanted to be taught and not just have a hobby/joy ride and my instructor is perfect for that, myself having had quite a break from riding lessons. She is really lovely and teaches me just as I wanted. All of the staff and children helping out have been really friendly and helpful too, which makes it so welcoming. The facilities and horse/ponies are great. Everything appears well maintained and the animals and their tack look presentable and just as they should. My son had his very first taste of riding here and his instructor and leader were both kind and friendly with a cautious beginner.